The Rubrix team is a ten-person strong group of professionals, who have experience working on a diverse range of projects in the educational sector, both in India and abroad. We have in-house expertise and can offer subject-specific training in the subjects of English, Mathematics, Science, and Social Science. By our professional engagements with leading national schools, we have access to the best talent pool in the country. All our team members have classroom teaching experience and are skilled facilitators. We share the resumes of facilitators and mentors with schools and colleges who engage with us. Sita Giri heads this team. Sita joined us in January 2014. She has been instrumental in shaping the programs that the foundation offers. Sita Giri has been associated with the education sector in ICT, career guidance and holistic school development programs developing their business across the country. SIta has attended the Deeper Learning professional course at Harvard Graduate School of Education. 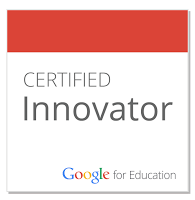 She is a certified Google Innovator. Previously she has worked with Core Education & Technologies, iDiscoveri Education, HT Media, IL&FS Intel Teach to the Future program to name a few. The education sector values Sita for her expertise in team building & business development. Her close relationships with thought leaders, academics, and innovators in the field and her diverse work experience give her a unique perspective of understanding the K-12 ecosystem as a teacher, a solutions provider, and a marketing professional. She is an educational and project management consultant with over 20 years of expertise in the fields of civil engineering, project management, educational publishing (K-12), non-profits, adult teaching, corporate training, course design and development, and Vedic Math. She lives in Boston (US). She brings to the team her in-depth understanding of education in India, her expertise in the field of adult learning, and her experience of working with educational publishing groups like Pearson Education Inc., Aptara, Chrysalis publishing group, etc. in the USA.